Absolutely beautiful scenery and the road would be a fun drive. As for me....I will be recuperating from surgery. You folks have a great time if you get it together! I don’t know who is going to go, the date is not firm. Anybody wants to go, please post on this so I can get a list of people. I would like to have five or six cars if possible. You might want to consider posting a new thread with the new route. I know this is an older post, but I love the TOD. When I owned my Crossfire, I would drive from Colorado to the Dragon and meet up with everyone. It seems the best times (as far as traffic goes) is in April and October (plus the weather is less muggy). We’d stay at Fontana Village resort. There are a few new hotels in the area from my understanding as well since the last time I was there (2014). Now that I live in Tennessee, I very much want to go back. If there is any interest for a fall get together, let me know. I drove the snake first week of October, it was a blast-I live streamed it. 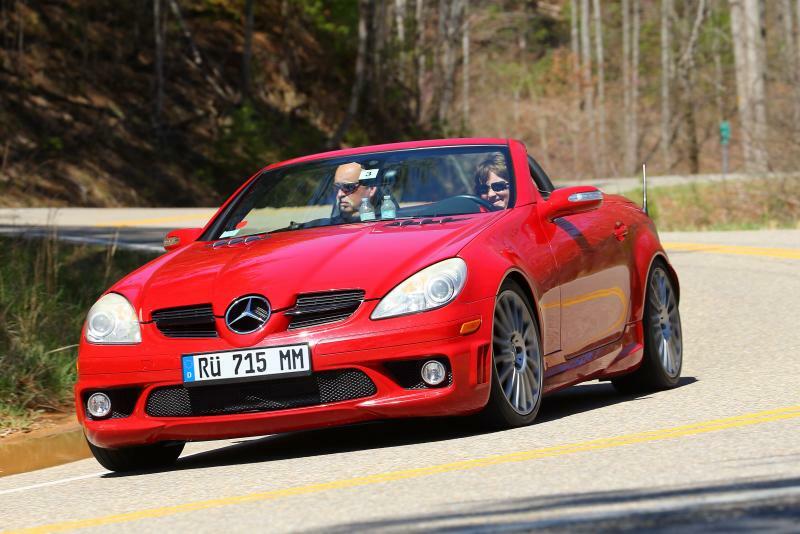 Location: Morehead, KY "Everyone likes Morehead"
Vehicle: 2006 SLK55 AMG Red with Black int. 31k mi. European Auto garage is pleased to announce the Sixth Annual Cars & Coffee Poker Run to benefit Variety, The Children’s Charity of Eastern Tennessee. The Poker Run will immediately follow Cars and Coffee, Cruisin’ with Heart, April 6, 2019. The Poker Run will depart starting 10:30 from Cars & Coffee Cruisin’ with Heart and follow a 120-150 mile loop of East Tennessee's finest driving roads. Participants will be issued a scorecard at the registration table, and a route map upon exiting the paddock. Along the route there are five checkpoints, at each card will be drawn and noted on your scorecard - best hand wins! An award ceremony, dinner, and live music follow back at European Auto Garage. This event is April 6th in Knoxville and their poker run route always traverses the Dragon. I have been on it many times and while the passengers can get seasick it is great fun. That is a Sat two weeks out. My wife and I have run it the last three years in a row. 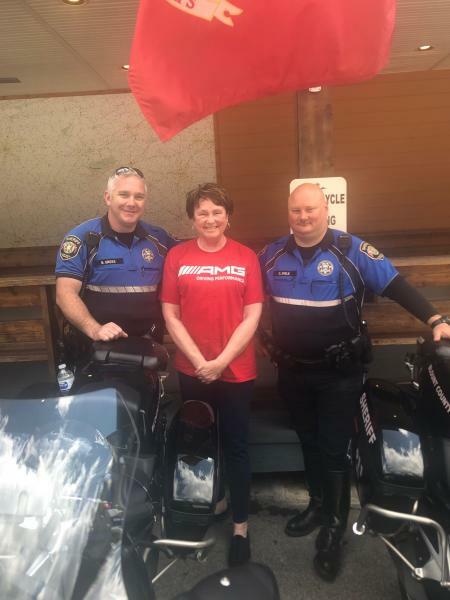 We usually stay in Pigeon Forge Friday night and do the poker run and then have dinner in Pigeon Forge or Gatlinburg on Sat night. Makes a nice weekend. Eitherway, if the dates work out I would like to join in. P.S. there are lots of good roads within a daytrip distance of Gatlinburg/Dragon. Cherohala Skyway, Bluegrass Parkway, Rt19 South, Rt 28, etc. The Snake further East near Mountain City TN is a scenic road without the traffic and hoopla of the Dragon. But it is not the same. Rt 16 in VA is another. If four or five cars went from here, I would very seriously considering going if we made it into a meet up. 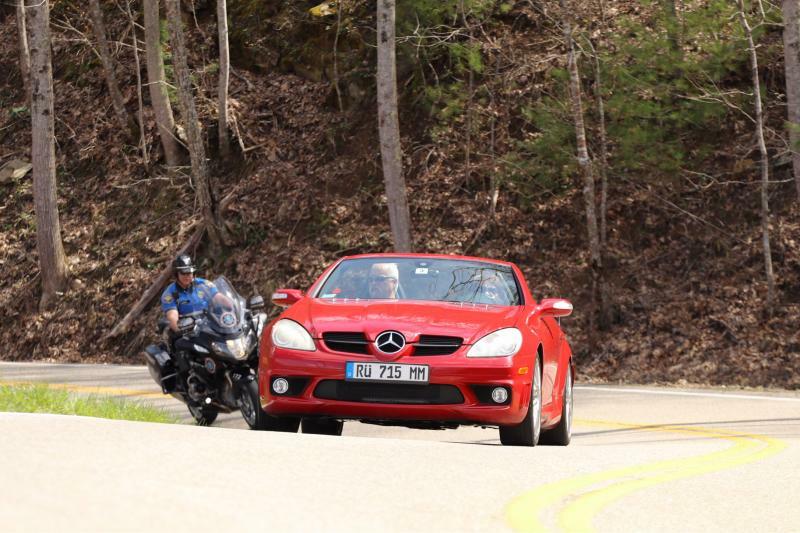 Wife and I are packing up the SLK55 and make the trek to Knoxville & Pigeon Forge Friday April 5th this weekend and attend the Cars n Coffee poker run in Knoxville Sat April 6th. In-official Weekend HQ will be Harpoon Harry's lower bar & crab house, meeting up there Sat evening to watch some of the NCAA final four matchups. I will be the tall ugly guy in the Red AMG. We usually stay at the Marriott in Pigeon Forge beside of Harpoon Harry's or one of the nearby hotels across the street if the Marriott is all booked up. Long range forecast for April 6th is 73 deg F and partly sunny. Good enough for early season top down running with a sweater and air scarf blowing. The poker run route usually hits Deals Gap, Cherohala, Fontana, etc. It is a fun event that draws a good enthusiast crowd. Pace is brisk but not stupid fast most of the time but truly you can run any pace you like. We usually like top stop for lunch either in Robbinsville, or at the Gap café and then make the run for home base. Attached a file from last year if you choose to look for us. Wife is smiling cause she got to drive thru the Gap and was chasing two GT-R's. Thanks for the heads up Vicki. Any suggestions for a drive like that in this area? I’m in Columbia. So, you are in Columbia SC? If so, I'm only a couple hours away. I live near Anderson, SC now. But still have friends and family in NC/TN. Anderson you say? If you make it up to Greenville LMK. It’s always great to meet new folks. If your car is a Firemist Red 171, even better! There is/was another member here in Greenville who has one of that color, although his username escapes me ATM. I sure wish I could go and drive the Tail of the Dragon! For now I will have to be satisfied with the Tale of the Tail of the Dragon, or Snake or whatever tale I can get. For those who can enjoy this, drive safely. Gods Speed friends! Wife and I drove the Dragon this weekend while participating in the annual Cars n Coffee charity rallye in Knoxville this Saturday. Weather was glorious and the cars that turned out for the early morning car show were amazing. One of the best was the 1956 two tone Hemi powered Chrysler Imperial in turquoise/white. It was huge. We gave them our donation and then elected to run the course backwards for personal reasons. That took us to the Dragon sooner and we wanted to eat lunch at the little cafe' at the Deals Gap resort. I had my wife drive us over since she is prone to getting car sick. She has a unique talent for making new friends as you can see from the pics. I was saying, "Uh, Honey, you may want to slow down or just pull over now..." They were good sports about it and ended up having lunch at the Gap too. She was not going fast enough to get into trouble anyways. We drove across the Foothills Parkway to Townsend and then thru the SMNP along the Little River to Gatlinburg. Finished up with dinner at a great little steak house in Pigeon Forge and watched the Auburn/VA b-ball game in the NCAA tourney at Harpoon Harrys. Overall it was a fun weekend. As usual, I was the only SLK in attendance. You all missed a fun weekend. Tried to talk Roxy into going, no joy his wife had him go out of town. I didn’t want to drive all the way there from Columbia by myself. Would love to have gone, I’m sorry you didn’t get to. I wouldn’t have been comfy taking my car that far from home at the time, but could have ridden with you and would have enjoyed the photo ops all the more. Please don’t hesitate to ask again, should the opportunity present itself. And thank you again for the advise on my issues. You SLK'ers in the more civilized areas are so lucky. I would love to tour the Smokies and for that matter, the entire Appalachian Geosyncline in my 350. Out here in the desert southwest, my SLK is an oddity. I'll stop whining and organize a meet up out here.